Fernand Léger (1881-1955) was a French artist who developed his own version of cubism before moving to a more figurative - but still modernist - style. He designed 17 stained glass windows for the Church of the Sacred Heart in Audincourt in Eastern France, which was constructed between 1949 and 1951. Here is one of them on a French semi-postal of 1981. 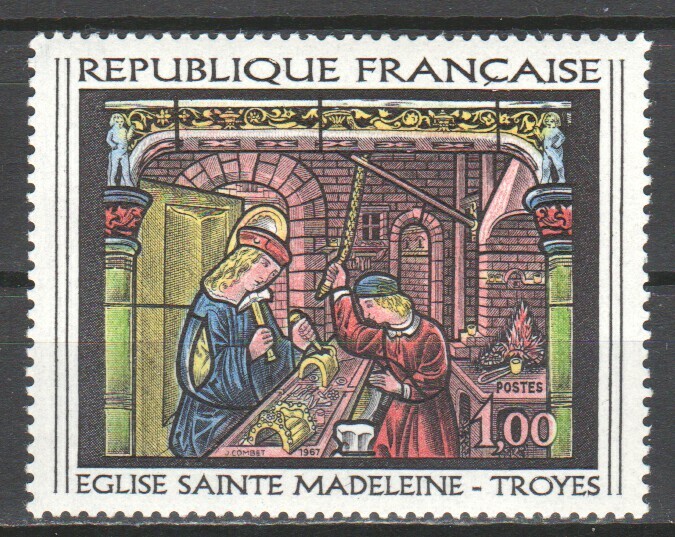 A second French 1981 stamp showing another of Fernand Léger's windows for the Church of the Sacred Heart, Audincourt. It includes the word "pax" - the Latin for "peace". A stained glass window from the Church of St Madeleine at Troyes in Eastern France. The church is early gothic, dating back to the 13th century, with the choir and tower rebuilt in, respectively, the 16th and 17th centuries. It has some fine stained glass, of which this window is an example. It shows artisans working on making part of the frame of a church window. NZ Christmas stamps have lots of SG. 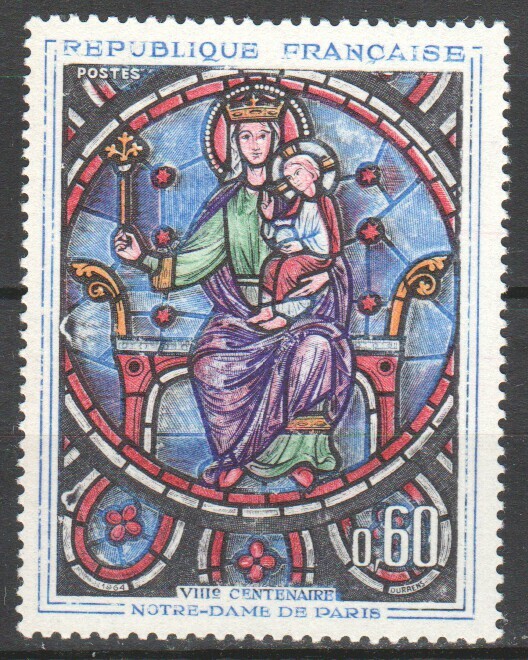 A 1964 French stamp showing a stained glass window, depicting the Madonna (as Queen of Heaven - hence the crown and sceptre) and Child, from Notre Dame Cathedral in Paris. 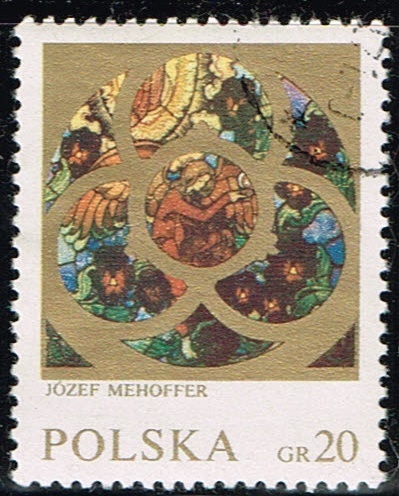 The stamp was issued to mark the 800th anniversary of the Cathedral.